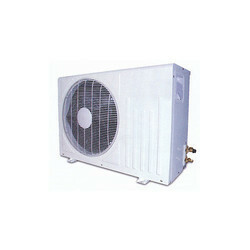 The power consumption is 1/8 – 1/10 that of the central air-conditioning System and home air-conditioner. Minimized Compact Size : Outer dimensions of the units are minimized. This compact size enables the units to be transported in an easier, safer and more economical way. - Our rooms are equipped with Air Conditioning for a comfortable stay in the harsh goan heat. During operations, large amount of heat is transfered into Cabins / E-Rooms / Shavel, through sheet metal & glass. More problems occures when such cabines / E-Rooms / Shavels are placed in dusty, corrosive atmosphere & hot area. With an in-built engine and electrically driven compressor . The ACU is used for supplying Cold / Hot Air into the Aircraft cabin to provide maximum comfort to Passengers/Crew under any specified ambient conditions .The air goes through 1 or 2 hoses hooked onto the aircraft. - Highly reliable Deutz / Cummins / Detroit Diesel / Equivalent Diesel Engines. 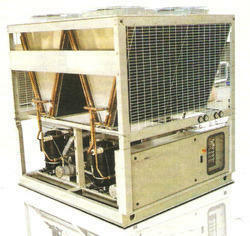 In any air conditioning system, we providing Gas charging at correct level and check with machine.